Each day, I follow a certain schedule. Change is infrequent, but I am flexible and only to a point. My patience has limits. In fact, there is a specific window of time before my patience has met its limit—twelve minutes. Of course, this is not an exhaustive list of all the things for which I might wait minutes. It just reflects the amount of time I can stay focused to write this blog post. Sunday, November 16, 2014. I wrote “My Twelve Minute Brain” this morning. I followed a writing prompt from Daily Prompt, “Waiting Room”: “’Good things come to those who wait.’ Do you agree? 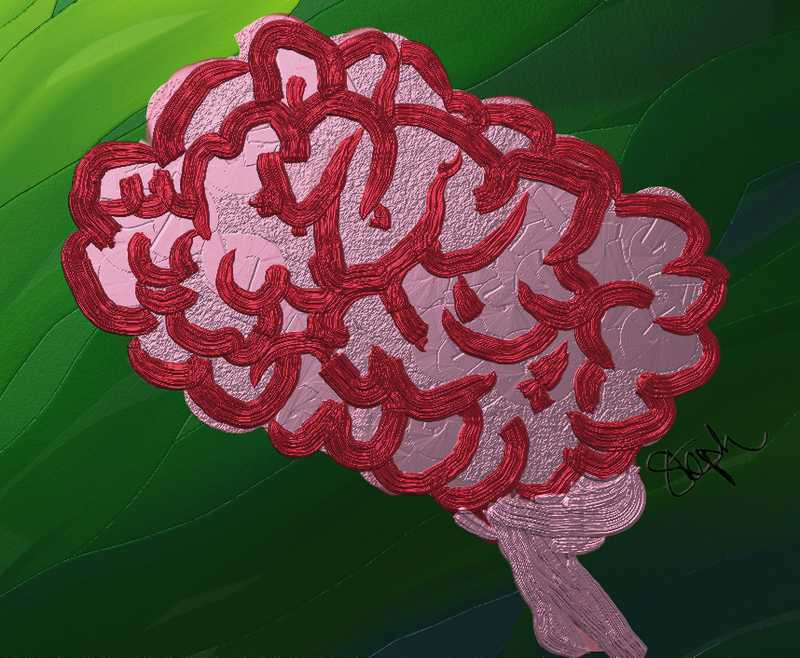 How long is it reasonable to wait for something you really want?” As my patience was about up, I created the image, “Short Attention Span Brain” based on a pencil sketch of a brain done by my son for his own short story, “The Land of Knowledge.” I created this doodle using ArtRage 4 on my laptop. Hahaha! How did you pinpoint it at 12 minutes? Oddly, it’s what seems to feels comfortable lately. For so many years, I could focus on a task for hours. I’d get lost in the details. Now, not so much.